There are so many great restaurants here in Stellenbosch- so much so that when it comes to pick a place for lunch or dinner it can be a little overwhelming. 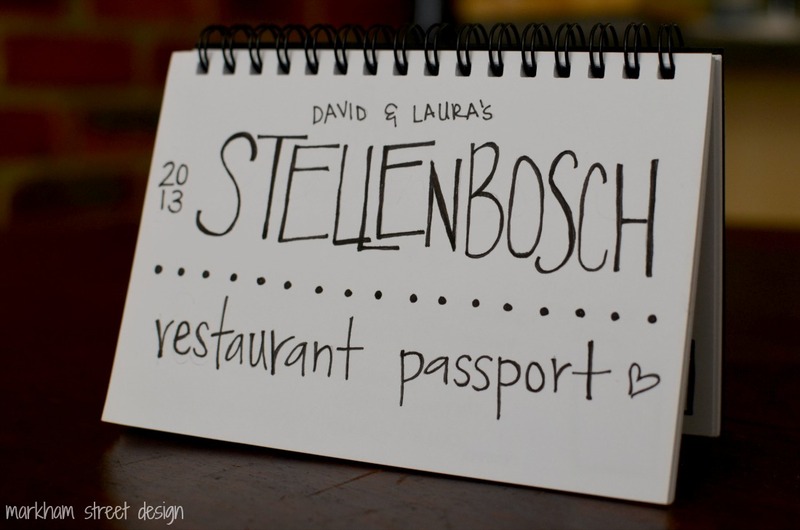 For Valentine’s Day, I made us a Restaurant Passport (like this one)- a list of 44 restaurants in and around Stellenbosch that we want to try out this year before we head home. Some fancy fine dining restaurants for special occasions and then some easy going type places for a quick bite to eat after work. 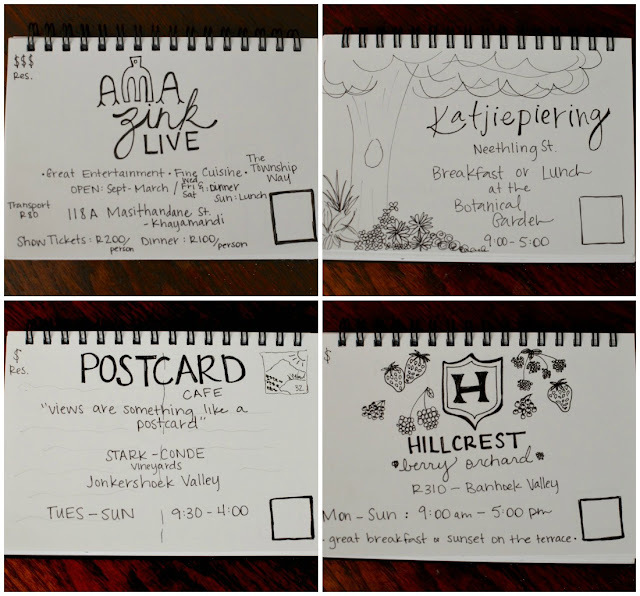 On each page, I listed the name of the restaurant, the address, hours of operation, and then a few little symbols and other information that I thought might make our decision a little easier. We have visited two of the restaurants so far. We put a little sticker in the box with the date that we visited and then jot down a few notes on the back of the card on how our meal was and if we would go back again. This handy little passport will cut out the "you choose" "no you choose" conversations when we are trying to decide what's for dinner that night. And we are keeping it in the car so when we are out and about, we can quickly make a decision!